No more Top Diggers list (see Donna Bogatin). 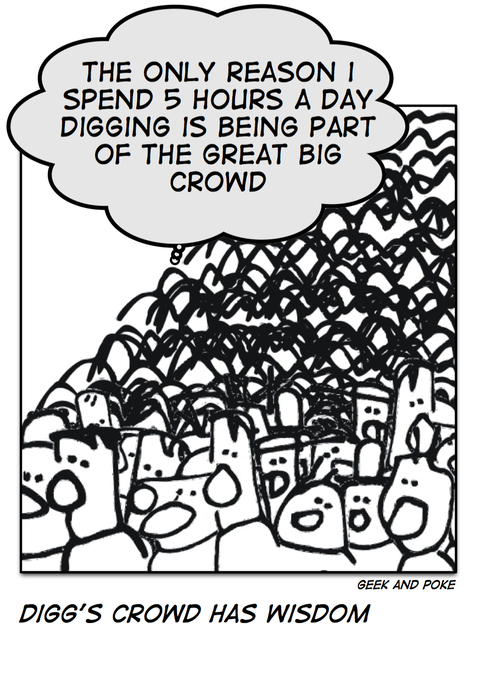 That's great 'cause the normal Digger (like the blogger, podcaster etc.) just wants to increase the wisdom of the crowd. And Jason Calacanis is not sooooooo sad about it.